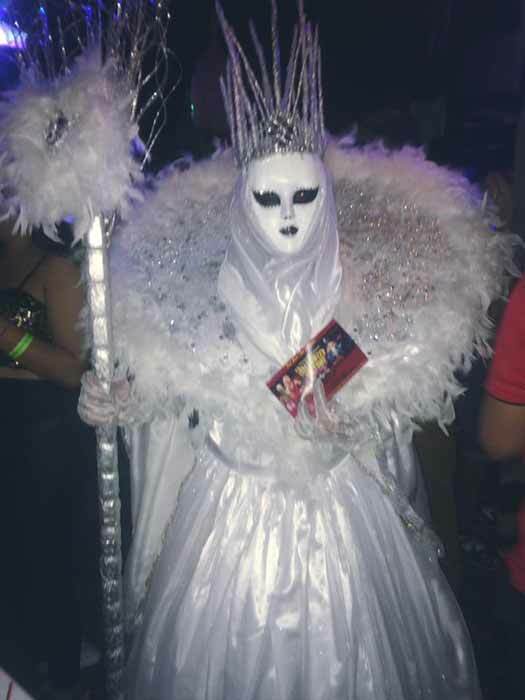 The Snow Queen costume, by Alex Rodriguez, wins the grand prize for the most creative at this year's Holiday Hotel's Halloween Party! Another spectacular Halloween Party hosted by the Holiday Hotel! 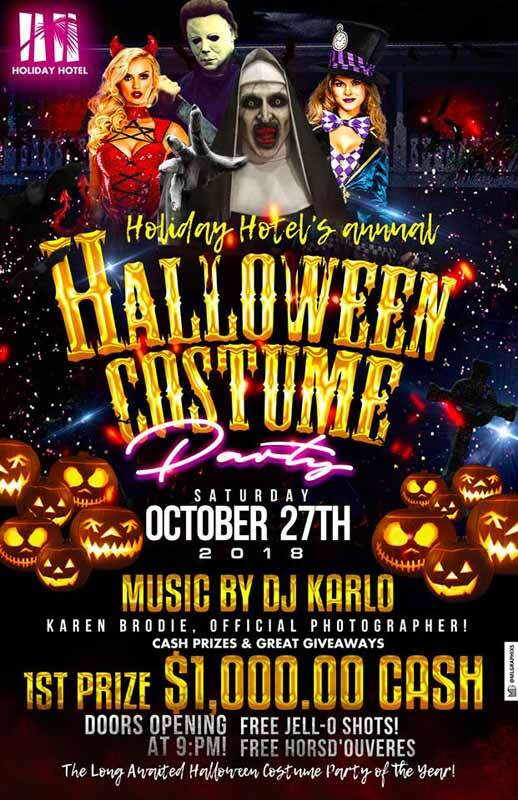 The annual Halloween celebration at the Holiday Hotel was nothing short of spectacular, featuring islanders dressed in elaborately creative costumes. Held on Saturday, October 27th, the highly anticipated event attracted hundreds of spectators near the entrance of the hotel, eager to see the craziest, creepiest, elegant, spectacular and most creative vying for fabulous prizes. 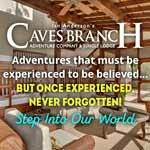 Among rockstars and well- known artists such as Frida, the party also had its notorious guests: Hailing from northern Mexico, drug lord Joaquin ‘Chapo’ Guzman took a break from jail and attended the party heavily armed. Other characters that made a pit stop at the biggest party on the island included Death, a few unicorns, Little Red Riding Hood, Beetlejuice and even the Snow Queen from the land of Narnia. Costumed revelers tried to impress the three judges tasked to determine the winners of this year’s celebrations. Hamerlin Flores, Betty Salazar, and Anita Paz had their hands full in deciding which outfits were most outstanding and should walk away with great prizes. With great music by DJ Karlo, partygoers danced and enjoyed themselves while Master of Ceremonies Eiden Salazar Jr. announced that the list of winners.